As its model name suggests, the new FT-2980R arrives with the solid feature configuration and mechanical toughness of the ever popular FT-2900R - with a superior output power that is upgraded to 80 Watts !! With the new FT-2980R, four output power settings - 80W, 30W, 10W and 5W - are selectable, allowing each user to choose the power they want for their operating style and situations. A Massive Heatsink guarantees a sol id 80 Watts of RF Power with no cooling fan needed. Thanks to a loud 3 W atts of audio output, the operator can enjoy reception - even in noisy environments. 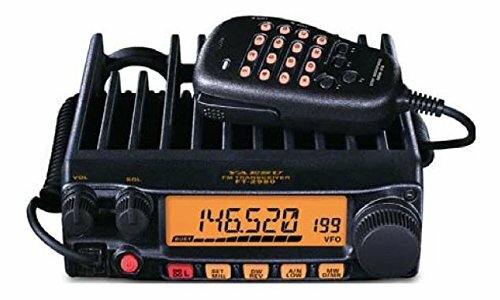 Other useful functions included are; Alphanumeric Channel Display; 200 Memory Channels; CTCSS and DCS Encode/Decode Built-in; Versatile Scanning Capability; Wide/Narrow Deviation Selection, Interactive Programming Menu, and so on.